Amanda Palmer from the Dresden Dolls was playing in Auntie Annies in Belfast tonight and I have to say fair play to the girl – after getting run over and having to get her leg put in plaster she still played a great gig that night as well as an impromptu outdoor busking session for her underage fans who couldn’t get into the gig! 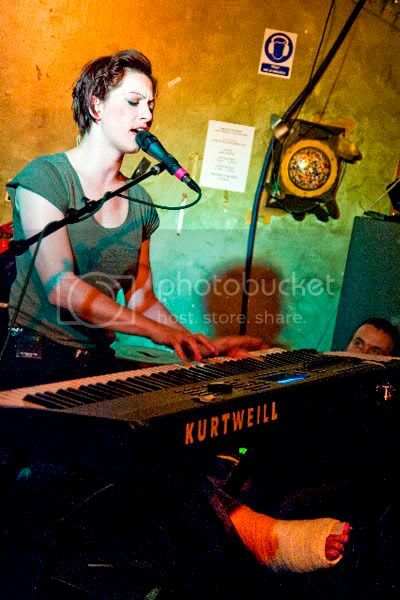 Here’s a shot of her from the night which appeared on hotpress.com in a news piece the next day! Good on her! Not many artists like her about! Thats dedication for you.